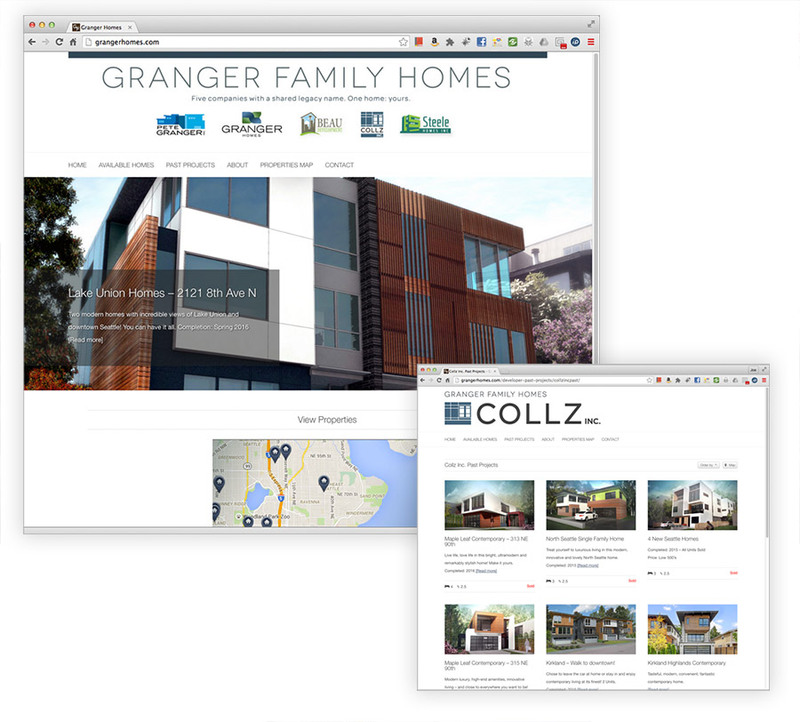 Granger Family Homes is a Seattle based builder consisting of the 4 Granger brothers and their father, who originally started his business in 1975. Pete Granger eventually brought each of his sons into the fold and encouraged them to establish their own businesses. So the challenge on this project was to combine all of their separate sites into a collective project showcase, while still maintaining each business’ individual identity and current listings. After the design phase, we worked in tandem with WPCasa to develop a uniquely customized WordPress theme that would filter properties by developer, give each business it’s own unique area, and allowing us to easily edit properties, features, and agents.